Cris Fer and Encarna Bodelon participate to public event titled “Refugee and asylum-seeking women and sexual violence: European contexts” with presentation “Forced marriage in Spain”. 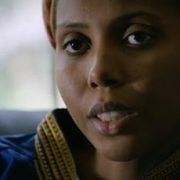 “Addressing Sexual Violence Against Refugee Women (ASVARW). This Project is funded by the Rights, Equality and Citizenship (REC) Programme of the European Union. http://antigonaen.uab.cat/wp-content/uploads/2019/03/https___cdn.evbuc_.com_images_55160488_121526611873_1_original.jpg 230 460 2145216 http://158.109.137.58/antigona/wp-content/uploads/2016/10/LogoUAB-300x178.png 21452162017-12-14 21:49:172019-03-20 21:50:39Cris Fer and Encarna Bodelon participate to public event titled "Refugee and asylum-seeking women and sexual violence: European contexts"
Dr. Encarna Bodelon, has participated in the prologue of the report entitled “Repression and Gender. Resistance and contributions to the anti-Repressive struggle from feminism ” (November 2017). (embodies bodelón gonzález – profa. Philosophy of right group antigone. UAB). Lorena Garrido, from the Antigona group, participates in the round table on “Administration of justice: advances and resistance of the implementation of gender perspective”. 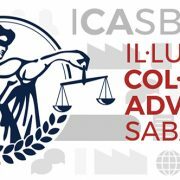 http://antigonaen.uab.cat/wp-content/uploads/2019/03/cabecera1-1.jpg 332 1400 2145216 http://158.109.137.58/antigona/wp-content/uploads/2016/10/LogoUAB-300x178.png 21452162017-12-11 21:44:082019-03-20 21:45:18Lorena Garrido participates in the round table on "Administration of justice: advances and resistance of the implementation of gender perspective"
http://antigonaen.uab.cat/wp-content/uploads/2019/03/sosinfopresse_bouquet_poing-small200.jpg 200 142 2145216 http://158.109.137.58/antigona/wp-content/uploads/2016/10/LogoUAB-300x178.png 21452162017-12-04 21:41:332019-03-20 21:43:58Article: "From an avant-garde law against gender violence to the criminal experience of women: the Spanish paradox?" 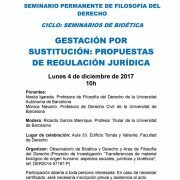 Dr. Noelia Igareda, researcher of the antigone group, participates in the permanent seminar of philosophy of law in the cycle ” bioethics seminars ” entitled ” gestation by replacement: proposals for legal regulation “. http://antigonaen.uab.cat/wp-content/uploads/2019/03/24131125_1984266931821017_4392841331763367316_n.jpg 960 679 2145216 http://158.109.137.58/antigona/wp-content/uploads/2016/10/LogoUAB-300x178.png 21452162017-11-30 21:39:052019-03-20 21:41:09Dr. 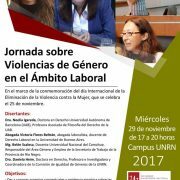 Noelia Igareda participates in the permanent seminar of philosophy of law: "gestation by replacement: proposals for legal regulation "
Noelia Igareda, researcher of the antigone group, participates in the day on gender violence at work, organized by the UNRN(Argentina). 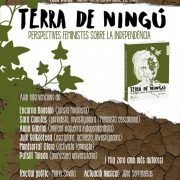 We are very excited to invite you to the presentation of the collective book “Terra de ningú”. Feminist perspectives on independence, which we have edited with Pol-len Edicions! 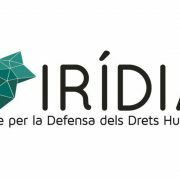 Encarna Bodelón, Sara Cuentas Ramírez, @annagabriel, Jule Goikoetxea, Muntsa OV, Patsili Toledo, Júlia Serrasolsas! …. and zero row with many more authors! With poetic recital of @MariaSevilla and musical performance of Julia Serrasolsas! http://antigonaen.uab.cat/wp-content/uploads/2019/03/23916018_1359695404156860_6017038766180809363_n.jpg 960 679 2145216 http://158.109.137.58/antigona/wp-content/uploads/2016/10/LogoUAB-300x178.png 21452162017-11-28 21:33:532019-03-20 21:35:37Presentation of the book "Terra de ningú"
Patsili Toledo, researcher of the antigone group, will participate in the day “Connecting universities fighting against of sexual violence ” within the framework of the European project #usvreact, with the paper entitled ” conceptual issues on the vs from feminist perspectives and keys of their Boarding in catalonia “. Free day with certificate for people who participate all day. 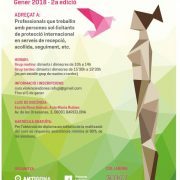 http://antigonaen.uab.cat/wp-content/uploads/2019/03/Cartel-2-212x300.jpg 300 212 2145216 http://158.109.137.58/antigona/wp-content/uploads/2016/10/LogoUAB-300x178.png 21452162017-11-27 21:31:132019-03-20 21:33:33Patsili Toledo will participate in the day "Connecting universities fighting against sexual violence "
Link to the video of the conference “the model: woman and prison” in which the Dr. Encarna Bodelon intervenes. http://158.109.137.58/antigona/wp-content/uploads/2016/10/LogoUAB-300x178.png 0 0 2145216 http://158.109.137.58/antigona/wp-content/uploads/2016/10/LogoUAB-300x178.png 21452162017-11-27 11:25:302019-03-19 11:27:05Link to "the model: woman and prison"